You could well be correct Midland Red although in my day it was being used as a post office. Thanks for that Midland Red This segment of a town planning map from 1905 shows the Brewers Arms as being where the post office was located when I lived in the street! Indeed, Midland Red. No 46 looks most like the post office I remember when I lived in Craven Street yet every council map up to 1972 shows it as being at No 42! 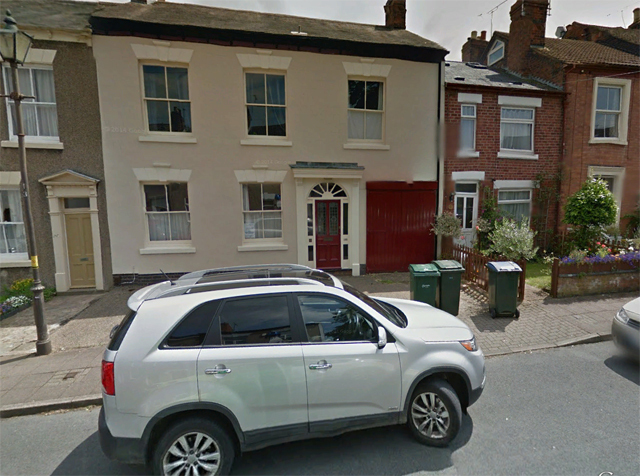 Its frontage would have been painted red and there was a postbox let into the front wall. I don't see any way No 42 could once have had a post box or a sign indicating it was a post office? 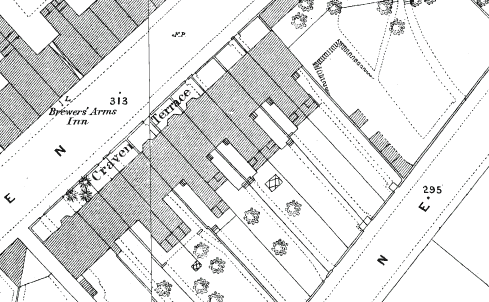 Spot on dutchman, #71 is indeed on the end of Craven Terrace (I live there) so I was a bit puzzled about the map, as the writing 'Brewers Arms' doesn't actually indicate where it is, as the Coombe and Hearsall does. Wish I could track down a photo. Well I'm still intrigued, how can even numbers be changed over to odd numbers? Don't make sense. Craven Street ended just beyond Mount Street in those days. The extensions to (at first) Sir Thomas White Street and then Queensland Avenue didn't come until much later. A huge swathe of houses were destroyed in the Blitz.